Looking for Better Mortgage rates in UAE? In fact, this blog helps you find the same. All of us have at some point dreamt of owning our own house; it could be a lavish two-storey bungalow or a simple 2-bedroom apartment. The concept is the same, and it is a part of the ideal lifestyle that we have all be accustomed to. If you also want your own home and feel that right now is the perfect time to lay down your roots, it just might be. 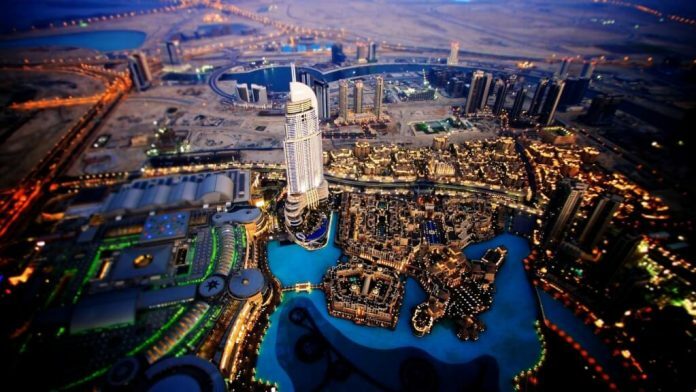 The United Arab Emirates is one of the most booming and developing places in the world. The bank rates in the country are significantly low, and the lifestyle is something that entices everyone. 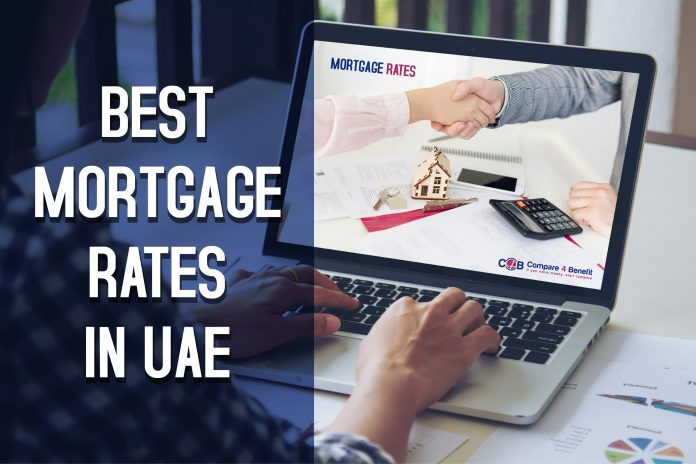 You will find some of the best mortgage rates in UAE, and it is also a reason why it attracts many expats each year. For the average person here in the UAE, owning a house is a legitimate reality. This is possible due to the availability of low mortgage rates. A mortgage is a legal agreement, which allows a bank to lend the debtor money in exchange for the deeds to the property. The condition is that once the money has been given back the conveyance of the title becomes void. When looking for property, one need not necessarily pay the full thing via a mortgage. If you have some savings, you can use it as a down payment and take the rest out as a mortgage. In the UAE, there is a multitude of banks that offer best mortgage rates to both expatriates and nationals. Standard Chartered is one of the most well-renowned banks in the world and comes with an assurance of the best available rates and features. Under their Mortgage One scheme, the reducing rate is around 3.49%, and the fixed rate is 2%. The fixed rate is somewhat fluctuating over the course of around 25 years, which is the maximum term, but it will always hover around the 2% mark. The advantage of taking up this loan is that the tenure of the loan will be shorter as the majority of the payment goes towards the principal and not the interest. There is, however, a minimum salary requirement of 10000 AED. The down payment can be around 20% of the property price, and the bank offers up to 18 million AED. For those of you looking for property in and around Abu Dhabi, Dubai, and Ras Al Khaimah; this should be your first choice. RAKBANK Home in One offers a combination of a current account holding and a home finance. The interest on the loan is calculated on a daily basis, and you can withdraw your money at any time. The reducing rate is 3.24%, and this can fluctuate over the course of the repayment period. The minimum salary requirement is 15000 AED, and there is virtually no cap on the amount you can take. The mortgage can be taken out for a maximum time period of 25 years, and you can purchase any property in Dubai, Abu Dhabi, and RAK. The only condition is that the property needs to be ready, and you can only purchase under construction property in Dubai. Emirates Islamic bank offers one of the lowest mortgage rates, with a fixed rate of just 1.81%, which is adjusted for 25 years.The reducing rate is around 3.2% per annum. There is also a minimum salary requirement of just over 15000 AED. You also get a credit card when you take this mortgage option and a 2-month installment deferment. You also have to be a salaried employee for just over 6 months to choose this mortgage. You can get up to 20 million AED in the mortgage, which will have to be paid over the course of 25 years. This offering also comes with a two month deferment period, which is good and can be availed every year. If you are an expatriate looking for the best mortgage loans that will help you buy the house you have been dreaming for, this is it. The CBD offering is a very lucrative one. The extremely low fixed rate of just 2.1% over 25 years and the reducing rate of 2.99% per annum are all good for any expatriate looking to put down their roots. There is a requirement of 12000 AED minimum for salaried individuals and 20000 AED for self-employed people. You can take up to 10 million AED, which is enough to land you a fantastic place. The only qualm is that this mortgage is available if the project is already complete. If you have been waiting this long to buy a house, this option is by far the most cost-effective. If you are an Emirati national and are looking for the most effective mortgage, this home finance from UAB is the way to go. With a lowly 1.69% fixed rate per 25 years and a 2.99% reducing rate; for any of you looking to get a brand new villa or put down a real estate investment, this option is the one. However, you need to have a minimum salary of 15000 AED, and those who are self-employed, the requirement is a steep 50000 AED. You can get up to 10 million AED and purchase any property with a title deed in Emirates. Such flexibility allows you to invest in the widest range of options and where you feel is going to pay off big dividends. You also get a pre-approved credit card when you take upon the mortgage option. As you can see, the choices are endless. This gives you tremendous freedom in choosing the best option, one which will suit your long-term plans as well as your family’s plans. The UAE is a thriving place where the standard of living seems to shoot up each year. If you have been in the country for a long time or you are a native, getting a house right now would be a very prudent investment. This blog explains the relevance of investment opportunities in dubai. 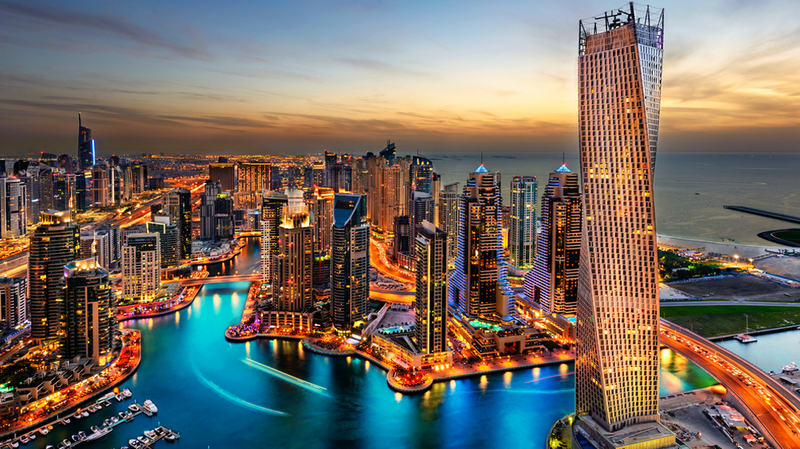 Dubai continues to provide enticing opportunities for investment. The city has attracted the US $7.8 billion in Greenfield FDI in 2015 giving it the rank of 6th top city worldwide for garnering foreign capital. Related : Looking for a Mortgage in Dubai? Search smarter, Save Money with the help of Compare4Benefit. Both overseas and local investors operate freely and safely in this robust and carefully regulated economy. DFM (Dubai Financial Market) – A stock exchange owned by the government is a top class international platform offering investors innovative services and products to trade, clear and settle in a liquid, transparent and efficient environment. 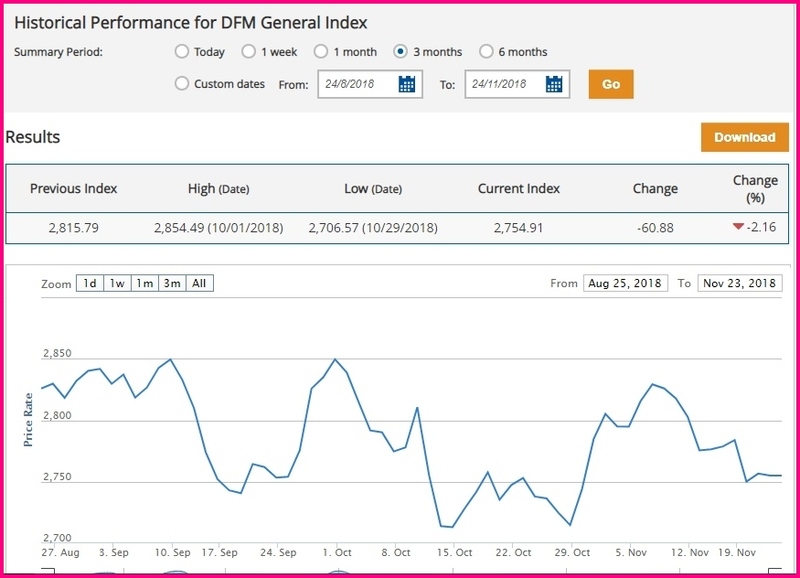 This historical data provides an invaluable source of information for investors and companies to directly access the most authoritative and comprehensive data reports online. You can even filter based on sectors. Also, the DIFC (Dubai International Financial Centre) is a major worldwide financial hub for Africa, Middle East, and South Asia markets. Set up in 2004, the DIFC has internationally regulated, independent judicial system, the regime for tax-free zone and worldwide financial exchange, which caters to one among the most cosmopolitan business communities in the region. DIFC is home to hundreds of financial agencies (private investors and wealth funds), apart from cross-industry transnationals and an extensive array of cafes, retail outlets, art galleries, restaurants, parks, hotels, and residences. It provides a 50-year guarantee of zero taxes on corporate profits and incomes, complemented by treaties for the avoidance of double taxation in the UAE. Dubai was awarded 1st rank in the region and 18th rank in the global arena, as per the 2017 Global Financial Centers Index. Related : Non Residents Guide to Buying a Property in UAE. Based on its modern regulatory and financial ecosystem, Dubai has proved to be a trusted investment partner for both big companies and small and medium enterprises (SMEs) with strong governance and legal security. The city assures transparency in implementing services, policies, and legislation. Dubai is the capital of UAE, which is a business hub in the Middle East. It provides easy access to the 1.5 billion consumer markets of West Asia, Africa, Eastern Europe, CIS countries, and of course, the Middle East. It is one among top destinations for investors and businesses in the whole of the Middle East. The modern infrastructure and government policy support both big companies and SMEs. Business opportunities in the city are not only for locals but also for overseas investors. Foreign investment is a boost for the economy of Dubai. There are several free trade zones in the city like the DIFC, which encourages commerce and trade. The cheap goods in Dubai attract customers from far and wide. 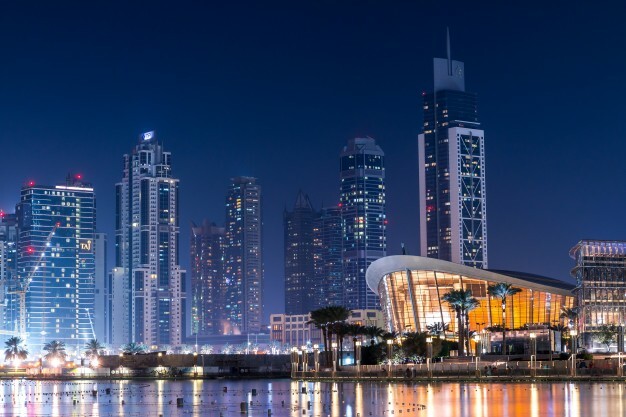 Setting up a business in Dubai is fairly straightforward and easy. With forward thinking, progressive policies adopted by the UAE government, it encourages foreign investors to invest in the oil-rich country. UAE investors are provided incentives for setting up business. Dubai attracts investors also because taxation is minimal and nearly non-existent. Taxes are imposed mostly in 3 sectors- tobacco processing, banking, and oil. The Dubai govt. has a long-term plan which focuses on encouraging new business. This helps to support the economy for many years. They have favorable business laws. Tax-free scenario is ideal for new, emerging companies. With every passing day, new structures and buildings are being erected in the UAE. This implies plenty of opportunities for engineers and other professionals in the construction and building sector. Also, investors can set up businesses, which make or sell raw materials required for the construction sector. 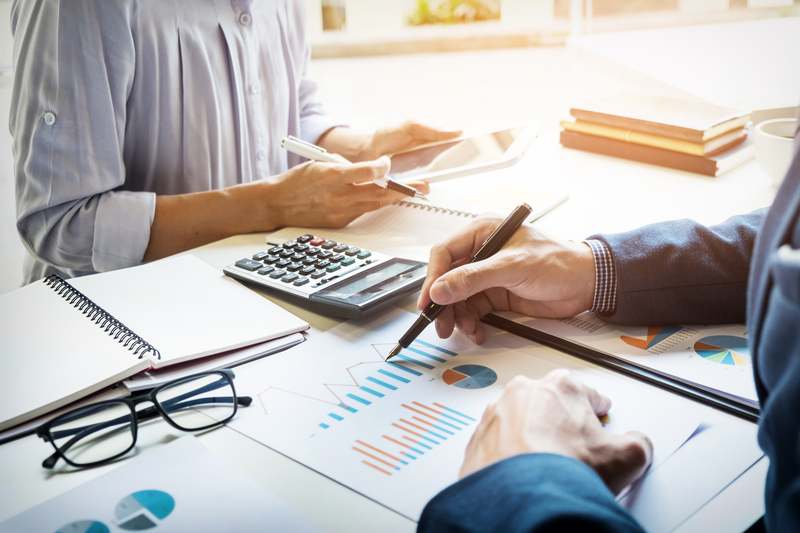 Thanks to the presence of several large-scale businesses in the UAE, there is a corresponding big demand for professionals offering financial services : auditors, bookkeepers, and accountants. If you specialize in any of these areas, you can profit from setting up financial agencies in Dubai. This sector is at the heart of the UAE economy. Much of the financial prosperity of UAE can be attributed to this sector. In spite of being exploited for many years, the oil sector has enough room for accommodating new investors. Entrepreneurs can begin businesses from scratch or in partnership with existing businesses. Food businesses thrive everywhere and at all time. Dubai is no different. There always exists a high demand for snacks and food. So, opening a food joint can help gather profits. Though Dubai does not have major security concerns unlike most other countries, businesses and individuals do not want to take chances with regard to their precious assets. This has led to rising demand for security devices and security personnel. 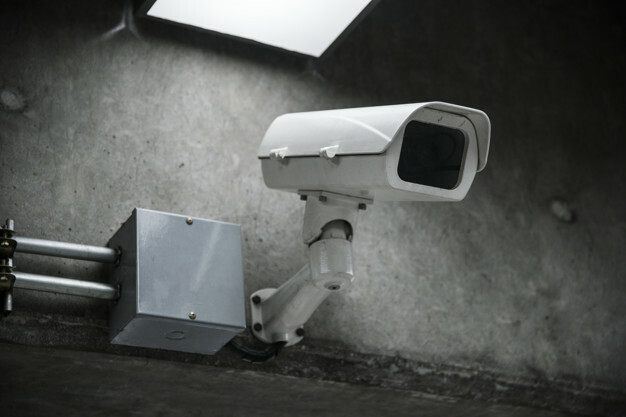 For instance, there is a demand for companies selling security devices like surveillance cameras and alarm systems. Similar to other developed nations, people in UAE are highly health conscious. This trend has led to a rise in demand for professional healthcare facilities and providers. Thus, Dubai is a great place to begin a healthcare business. There are many opportunities in the transport sector thanks to the high demand for transport services. For instance, you can invest in trans-city transport or local taxi services. Dubai is a highly popular vacation destination. This explains why there exist so many five star hotels in the city. Dubai is host to many thousands of visitors every year, and so, a hospitality or tourist business has much potential. Because of the rapid growth of the city, many activities like construction and urbanization cause high damage to the environment. At the same time, people are growing concerned about protecting the environment. 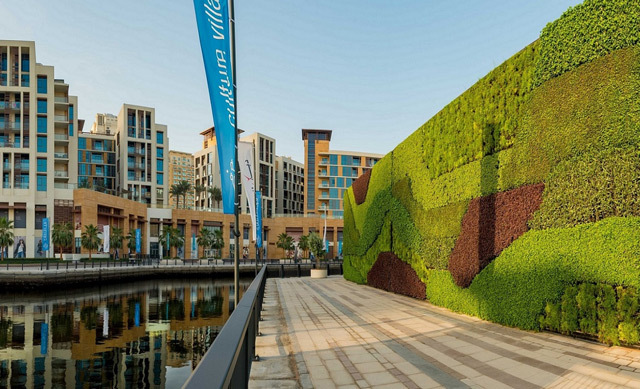 Thus, there are big opportunities in Dubai for advocates of green living, and also businesses, which provide several environmental protection services like waste recycling. 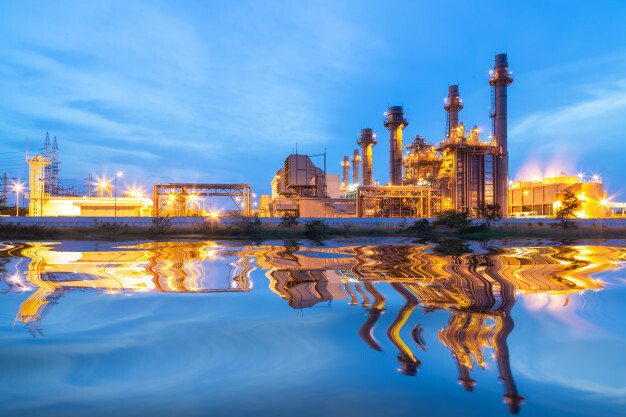 Though UAE is full of investors in the oil business, there are chances for many companies to maintain energy generation in the country. 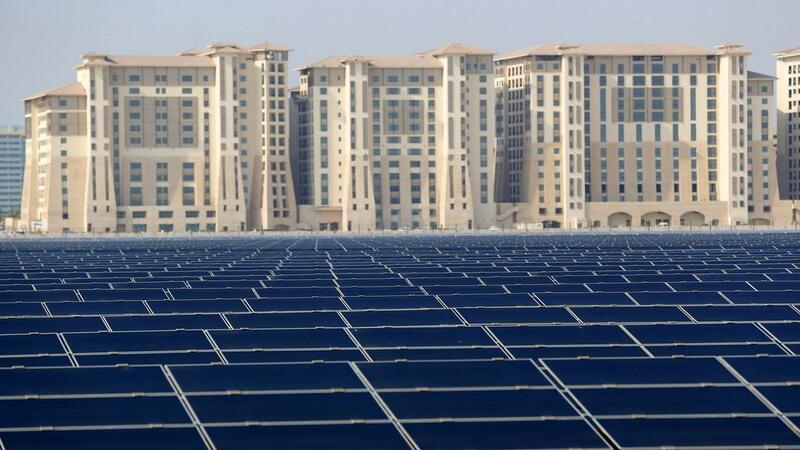 Thus, if you are seeking to invest in Dubai, a maintenance facility for the energy sector is an option you should consider if you have needed capital and expertise. It is a new concept in Dubai. Because of the huge expat population and the diverse preferences of people in the city, the concept of business franchises is fast becoming popular. 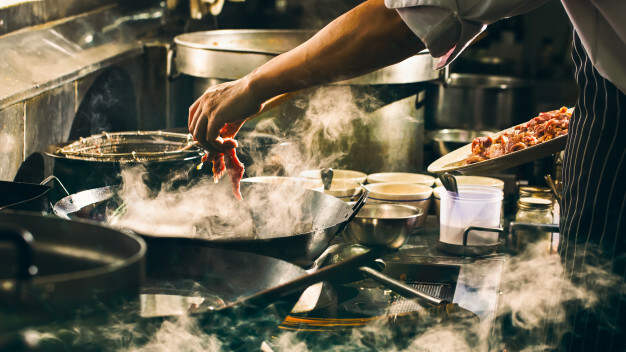 A franchise in the food industry is, for instance, the fastest growing business in the city. 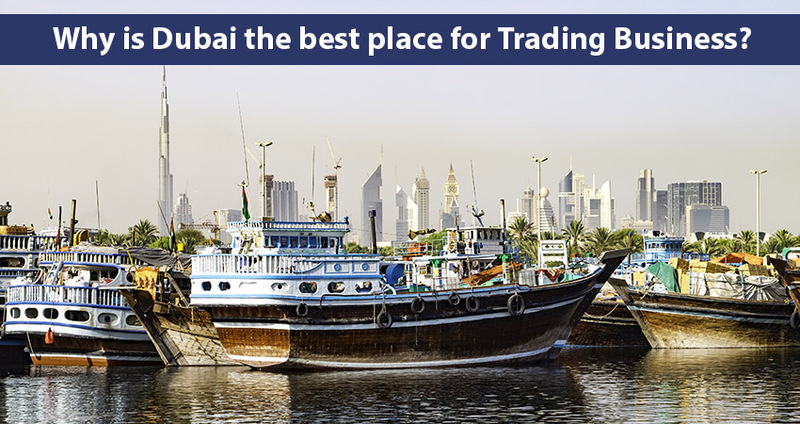 Dubai is the city where traders from all around the world gather to exchange goods and services. Imports and exports are the buzzwords in the trading circles since a major part of people’s income is from trading. Because Dubai is a major tourist destination in the world, a travel agency is a great opportunity for investment. Dubai sees the visit of millions of tourists every year. The population of the city is also in a flux with a huge presence of expat population. 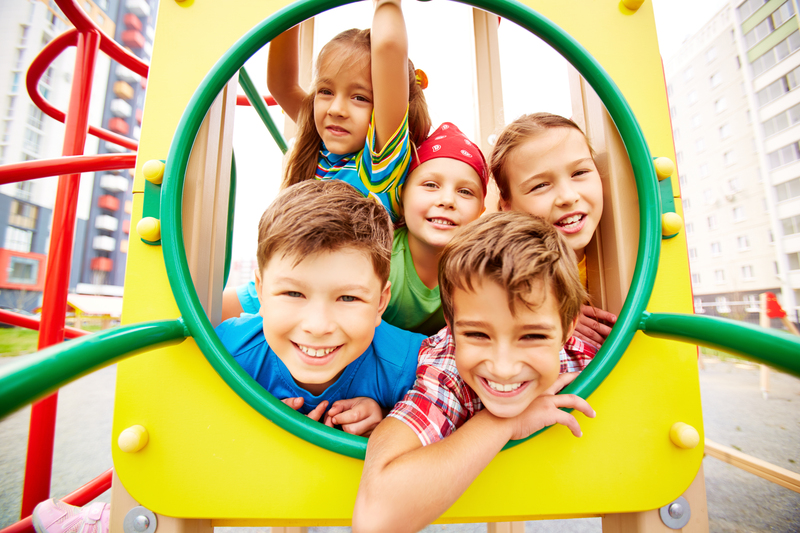 The presence of a big expat population increases the need for many specialty schools. Think of any international school and you can profit from this business. This is a current business opportunity. Dubai is no longer a barren desert. It is a thriving metropolis. Real estate is thus a thriving industry in the city. Construction firms are competing for projects in various segments such as logistics, industry, and residential sector apart from other projects in construction. Dubai is a city for hardworking professionals, who are busy throughout the day. Thus, they seek to unwind by chilling out at nightclubs after work hours. Here they share a drink or two to get rid of the stress of the daily grind. 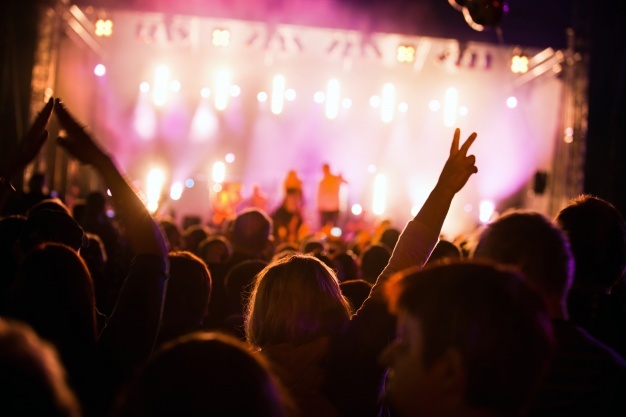 One can set up a scene for night time entertainment, particularly for expats. Another hot business opportunity in Dubai is employment agencies, particularly for skilled workers. The fast-growing economy requires a lot of skilled workers to keep up with industrial and service industry growth. There is much demand for professionals like engineers, doctors, nurses, IT experts, construction workers, and accountants. 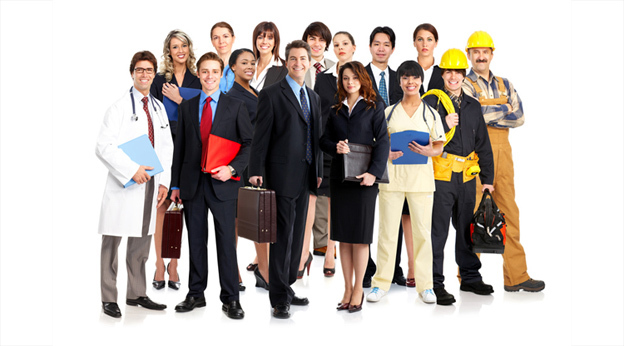 Hiring such professionals opens many opportunities for employment agencies. These are some of the hottest opportunities for investment in Dubai. While setting up a business in Dubai is rewarding and lucrative, it is also a risky proposition for overseas investors. In the case, you are a foreign investor, you are required by law to have a partner in a local citizen, prior to floating a company, and the citizen has to own a lion’s share (over 50%) in the business. If you aim to begin a business in Dubai, you must play by the rules, or you risk losing your business. There is minimal scope for opening a shady business in Dubai. You can make huge profits on your investment in Dubai if you stick to the right channel. Without a doubt, Dubai’s business environment is open to persons of all cultures and nationalities, but you must follow due process before setting up any business. The first step before investing is conducting your own feasibility studies for gaining a good knowledge of Dubai for maximizing profits. Ensure you conduct a market survey, scrutinize competitors and design strategies which will help you thrive as an investor in Dubai. Investing in Dubai is a serious business; for this, you need a viable business plan. Such a plan will not only guide you but help in gaining business partners. You are also required to submit your business plan to the regional governing body of Dubai before getting approval for opening a business. Prior to setting up a business in Dubai, in the role of a foreign investor, you are required by law to have a local partner in business; a UAE citizen or a Dubai company. The local business partner must also have majority share. While scouting for local partners, try to steer clear of selfish and greedy persons. The best strategy is to go through the local chambers of commerce (Dubai Chambers of Commerce and Industry). However, this law is under serious review, since it is not promoting foreign investment. Before investing in Dubai, you will have to prove to the government that you have the required capital. The required amount ranges between $ 10,000 and $50,000 and is subject to review of various free zones in Dubai. There exist various free trade zones in Dubai, and these areas are favourable to foreign investors. In the case, you set up a business in a free trade zone in Dubai, you can benefit from exemptions from export and import duties, land tax, commercial taxes, the license fee for property and building and restrictions on the transfer of capital invested in free trade zone. You must satisfy some conditions before dealing with the Ministry of Commerce of Dubai for the purpose of registering your business. If you are not aware of the procedures, consult the readily available services of attorneys in the business. If you succeed in opening a business in Dubai, you must not spare any energy in promoting your business via various channels. For example, a hotel business can be promoted by ads in travel magazines. All the above information will help you greatly when you are considering investing in Dubai. Stay updated with all trending issues by doing your own research in this field. Cars are highly preferred in UAE rather than any other vehicle, and therefore the car insurance market has a massive increasing activity at present. The price of insurance varies depending on many factors along with the money cost used as the compensation during the period of unlikely issues or events. 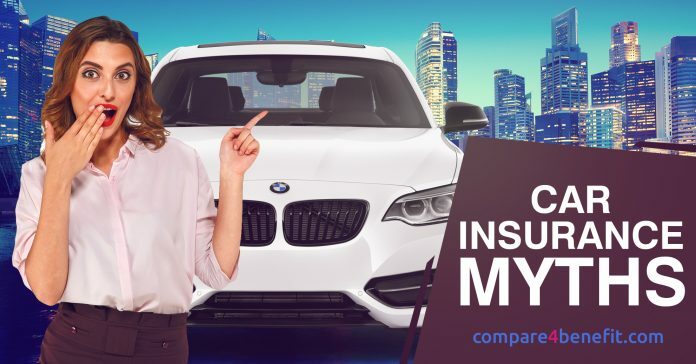 Choosing the right car insurance in Dubai is strenuous substantially for the new insurance buyers, people believe in wrong myths from various people and result in wrong decisions, but this is one of the essential topics that shouldn’t be ignored when you are spending much money on the car insurance policies. Related: Apply For Car Insurance from Compare4Benefit and Get VAT FREE Car Insurance. Today we will check for a few myths regarding the car insurances that everyone should be aware of it. 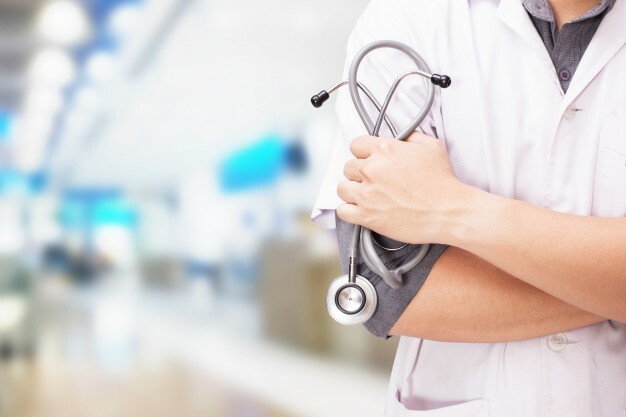 Medicals bills are covered for a significant accident or other issues in the case of the applicant having a Personal Accident Cover. Many First time buyers of car insurance in UAE has a belief that getting a Personal Accident Cover while purchasing car insurance will take care of their medical expenses occurred when they get injured in a road accident, and this is not true entirely! Moreover, here are few payouts which will be provided to the people in a lump sum once confirming after an in-depth diagnosis. Personal Accident covers are provided in the case of any preconceived peculiar injuries or damages, and if you capitulate to any lesion or any other injuries in a road accident, then Personal Accident Cover will offer a total amount of money that you have insured to your family and the maximum sum is about AED 200,000. If you have lost your eyes and gone blind due to the accident occurred in the road then personal accident cover will provide a maximum sum of about AED 100,000 for each eye lost in the road accident. If you lose a limb during a road accident, then you will be provided with the maximum amount of AED 50,000 for each limb. Your Takeaways: If you got injured during an accident, you would not be able to get the medical coverage just showing your insurance policy documents at the hospital. You need to have a health insurance plan if you need to skip paying from your pocket. Most of the gold and car insurance companies provide these universal feature GCC cover for their customers, but it has the capability of covering just the partial benefits. You will not be eligible to drive to any other GCC Country if you have this GCC cover in your insurance policies. You need to face the drive only at your own risk as they don’t cover financial safety. Your Takeaways: Every car owners should have to get the insurance for the vehicle they buy according to the UAE law, and therefore the insurance policies have become a mandatory one. GCC cover does not cover any third party liability, so you don’t have permission for driving off to any other GCC country. You will be required to get a TP insurance on the border at a rate of AED 90 for five days. The standard and most natural myth around any car insurance are that mechanical repair costs are not included in any comprehensive programs in the case of any injuries or during the car breakdowns. Your Takeaways: The critical thing every car insurer need to have in mind is that you shouldn’t believe everything you hear from people saying regarding the insurance plans. Any of the car insurance agents will not cover mechanical tear & wear and depreciation in their plans. Automobile parts are included based on the depreciation rate when your vehicle is damaged in an accident or during your car break down in this comprehensive insurance plan. When you are purchasing a new brand car, everyone thinks that they can get the best insurance plan from his or her car dealers, but this is never a good or best idea. You will not be able to get the best deal if you are purchasing any insurance plans from any car dealers, insurance brokers or insurance agents offline. They will change your mind and make you get the one as per their preference, the best thing you need to do before purchasing a car insurance plan is to research, compare and then get the best insurance plans for your vehicle. The technology advancement has brought an enormous change in the digital insurance field too, and the best way is to get the insurance is online. You will be able to avail many benefits like more transparency, ease of buying, wide varieties of insurance, etc. and also save your time and money by getting online. Insurance for your vehicle is something you need to check out directly rather than purchasing from offline or other ways. If you are getting insurance from your car dealers, then you might need to pay a high commission for them. If you are purchasing insurance online then you will be able to get multiple benefits as there are various plans available, you can compare and choose the best deal. Related: Compare Car Insurance in UAE. Your Takeaways: You will be able to enjoy maximum coverage for your insurance without paying from your pocket, the price you pay should be useful for you not for the dealers or brokers. A Must have Feature- Agency Repair? The critical specification included in the comprehensive insurance plan is the Agency Repair, this will cover maximum accident-related repairs from the official dealer at the authorized garages. The premium is high for the comprehensive coverages as per the enhanced support, and you can opt or not opt to agency repair as the decision belongs to you. If you need any spare parts installed in your car or any other vehicle after any accidents in the case of a luxury car, then you can prefer agency repairs. If you have the spare parts available for your generic vehicle then paying for the agency repair is mere foolishness. Your Takeaways: Before you go for any agency repairs you need to check whether you need them in your car insurance plans. More than the premium garages, the insurers’ network garages will be the best option. Before opting for any UAE vehicle insurance, make sure you analyze the insurance needs and then check out the insurance plans fine print. If you have a detailed understanding of the plan, you never have to fall for these myths. Knowing about the policy exclusion and inclusion declines the claim rejection risks. Any other myths regarding the Car Insurance Plans. Let us know through the comment section below. Accidents can happen anytime, and therefore they have the right name derived. Auto Insurance is mandatory for every vehicle owner to protect their vehicle and their well beings, the rates of these auto insurance depends on various factors namely the driving experience, the age of the driver and much more. Related :Buy Car Insurance from Compare4Benefit and Save up to 1200 AED on Car Insurance. 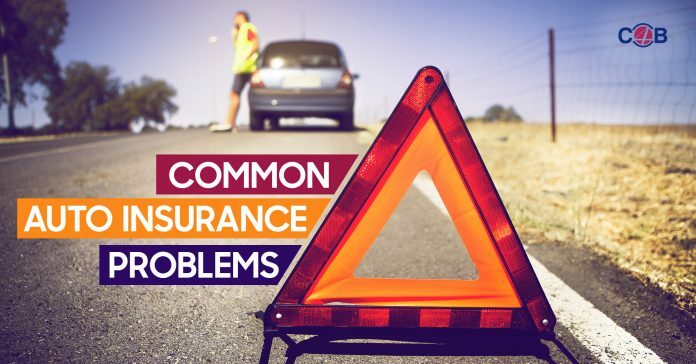 We have seen all these information in previous articles, today we will know few tips for avoiding the most common problems occurring with the Auto Insurance claims. The Rear End crash type of accidents are caused mostly when the drivers lack concentration in their driving, this can be easily avoided if the driver is focussed only on driving rather than some other disturbances like using a mobile phone, changing songs during driving, speaking to someone without checking out the vehicles forward or backward, etc. CDC Statistics has proved that more than 1160 people are getting injured and eight-plus persons are killed every day due to the distractions occurred when driving. NHTSA (National Highway Traffic Safety Administration) has shared a pivotal point in 2015 that to avoid this type of crash, the top-most auto manufacturer has come up with an automatic braking technology, which will help the driver to focus on the road and driving without being distracted from any other activities. Windshield cracks and chips claims are also considered to be the most common problem in the list, and many drivers think that this damage cannot be avoided, but you can do it with simple steps. I agree that you can’t make any pebbles or rocks to be idle on the road or ground, but you can take specific steps to avoid these damage to take place. Most of the cracks and chips are developed from the Snow renewal equipment, rocks thrown due to air by trucks and other debris from the ground. You can make sure that you are maintaining the distance between these trucks so that your wallet and windshield will remain safe from the damage. For example when you are passing by a road with much debris, and other kinds of stuff make sure you keep a distance when the trucks turn in an unpaved road. In the case of ice and snow, you can keep a distance between any trucks for avoiding the hit as well make sure you maintain extra mile in the case of place with plows. This is one of the common problems every driver’s face, you park your car, and people easily hit your car and fly like an airplane without evening turning back. Research in 2016 has found that 15% of drivers have experienced hitting a parked car and 1.7 million drivers have been admitted to run after they hit a parked car. To avoid people hitting your car make sure you leave your car in any garage or in the place where there are no turns. Do not park your vehicles too close to other vehicles when you are out from home, make sure you are avoiding parking of your vehicles in turns, tight corners, driveways, etc. NHTSA has identified in research that there are about 500,000 backover and backup accidents are happening every year, among them, 15,000 accidents lead people to injuries, and 210 accidents lead to death and other life-threatening problems. The backup accidents can be easily avoided, but still, they are occurring in high numbers, but at present in 2018 the NHTSA has put a rule that all new cars need to be developed with a backup camera. 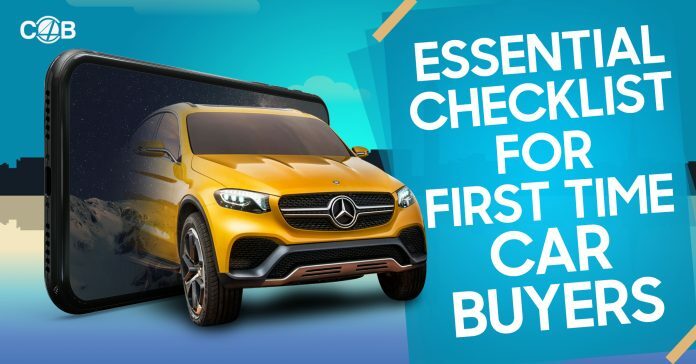 So be careful to get a camera-equipped vehicle if you are in the plan of getting a new car, in the case of existing cars you can get a backup camera kit which would cost in the range of 250 AED to 1500 AED, and this cost varies based on the feature you need. Related : Here are 21 cool tips for buying and maintaining your car. According to the National Transportation System Center of John A. Volpe, one out of five accidents are caused due to the reason of leaving your car in the road, and there are more than 8,000 deaths happening per year, these damages can also be controlled easily and can be avoided. Most of the Single Car crashes are caused due to the drowsy driving, what if the drivers fall asleep when they are driving on the road? Undoubtedly the car will result in damage with an accident. Similarly, Usage of drugs, alcohol, tiredness during driving is some of the causes of single-car crashes. A survey result of research in 2005 has explained that 40% of the drivers fall asleep, the young drivers’ numbers are higher when compared to the older persons. There are many innovations developed to keep your car idle in the right lane, but still, you need to be more careful that you are not falling asleep during your drive for avoiding this problem. If you are located in the area that is prone to higher hailstorms then you need to park your car under cover so that your car doesn’t get more damages, you can allocate extra space for your garage and safeguard with new safety apparatus for keeping yours from lousy weather hits. Every area will differ, and there is a high chance for your car to have a car break in some cases. You can avoid these issues if you stop keeping any valuable items in your car parking, also make sure you park the car in a safe and secure place to prevent the car break and theft. Neck, back, and other related injuries are typical during a car accident, and even a fender bender will result in severe whiplash, neck, back and other injuries. These get more severe when you are driving in the higher speed, the best way to avoid this type of problems is to obey the traffic rules like wearing your seat belt, following the right signal board, etc. There are many newer technologies incorporated at present which helps in saving you from these type of injuries. Confusing and BUsy Intersections will lead you to crashes, but this may happen at any time. You cannot assure that other drivers will follow the traffic rules as you do so its essential when you are approaching an intersection. When you stop at the red signal make sure other drivers are not speeding up through the yellow light, in this case, you need to hit brakes immediately to safeguard you from hitting the car. The Federal Highway Administration is working with states, cities, insurance companies and other concerned people about making this intersection more safe so that drivers can make up with the right decision to reach their destination safely. Personal loans are useful when you need to spend more money than you have available in your savings or credit card. After you have negotiated the loan with your lender, it is suitable to add it to your budget. It is possible to take out a personal loan in UAE without a salary transfer. This implies that you can take a personal loan from a bank without needing to transfer your salary flow to the same bank. Such loans are quite common in the UAE. You can easily locate loans without salary transfer by online research. There are many UAE websites, like Compare4Benefit, which can do the job for you within minutes. They also provide online calculators to determine your monthly payments. The maximum amount of personal loans ranges from AED 1,000,000 to AED 3,000,000. It is based on your credit rating, your other debts, your income, and the lender. The higher your income and better your credit score, you can borrow more money. Some banks have a cap on the quantum of personal loan. As opposed to credit cards, personal loans are a one-time loan. You cannot borrow like using a revolving credit card. Once you pay off the loan, there is the closing of your account. You will have to re-apply in case you need to borrow again. In case of personal loans, the interest rate is locked and does not change for the life of the loan. Just like the loan, interest rates on personal loans are dependent on credit rating. Usually, you will be charged a lower interest rate if your credit score is good. But there are also personal loans with variable interest rates. The disadvantages with these are that monthly payments fluctuate and cannot be factored in easily in your budget. Your personal loan must be paid up in a fixed period. Loan payments are stipulated in months: 60, 48, 36, 24, and 12, etc. Longer repayments may reduce your monthly payment but implies that you pay more interest in the long run. Also, in case, you pay back loans earlier than agreed on, you may have to cough up extra money in terms of early repayment penalty. The details of all loans will be communicated by banks to credit bureaus, and thus, impact credit scores. All aspects like the amount of loan and the timeliness of your repayment will be recorded. For a good score, it is better to be punctual with your repayments. Steer clear of scams, especially if a lender approves your loan easily in spite of your poor credit score. Avoid those who charge for loan information. Always apply for a loan with a reputed bank. The interest rates charged by different banks differ, so do complete market research. Other banks may offer loans at a higher rate compared to Islamic banks, but their terms of repayment may be more flexible. Do research on different banks to arrive at a decision. You can even consult financial advisers. Related: How Do Personal Loans in UAE Work ? In case you have borrowed in the past; your banks will have a record of your credit history. With your credit history, you will know how you will qualify for a new personal loan. In case, you have defaulted on repayments; it will reduce your credit score and banks may charge higher interest rates. A bank may not be the only solution. 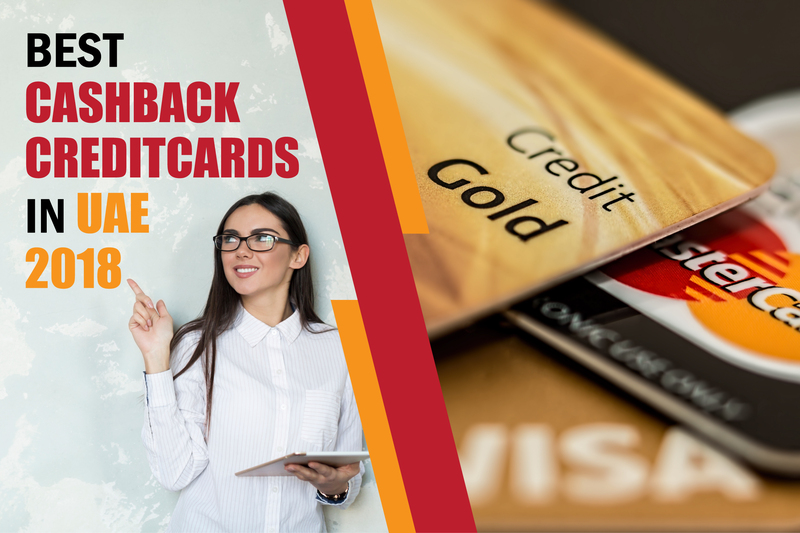 If you have a solid state of finances, you will be eligible for credit cards like HSBC Platinum Card or Citibank Card, which will charge as low as 0% interest for the first year. You can even borrow from a trade guild. But banks are the most popular source of personal loans. There are two kinds of loans – secured and unsecured and the difference is that a secured loan is secured against a collateral asset while unsecured is not. Determine your exact need based on whether you are okay with placing a mortgage asset as collateral or pay high-interest rates associated with unsecured loans. Many times, banks will offer big loan amounts based on factors like your good credit score. Avoid going in for such attractions because it will only increase your debt burden. So, steer clear of any unusually attractive offers. Securing a loan involves more than paperwork and getting money in hand. Several banks charge registration fees, processing fees, at a percentage of your total loan amount. Ascertain which bank provides the best deal after factoring in all charges. You can pay back your loan amount in a fixed tenure. Banks offer 1 to 5 years for returning the money with a differing rate of interest. Get realistic about how much you can pay in EMIs (Equated Monthly Installments). Don’t plan EMIs based on future projections, which may or may not manifest. When you take a loan, keep aside some time to shop around and compare loan packages. Don’t be taken in by published or advertised rates. Interest charges vary based on a lot of factors such as the size of your salary. The 4% rate advertised by the bank may not apply to you if you earn below a threshold. If you get a good deal, consider the total cost of the offer. The terms and conditions of a loan are just as vital as the rate of interest. Some of these include hidden penalties and fees. It is crucial to note the terms for early repayment of loans. In case, you don’t read the fine print; the loan may cost you much more than you imagined. Getting all terms and conditions in writing is good. Several banks register you automatically for payment or credit insurance when you become a borrower. 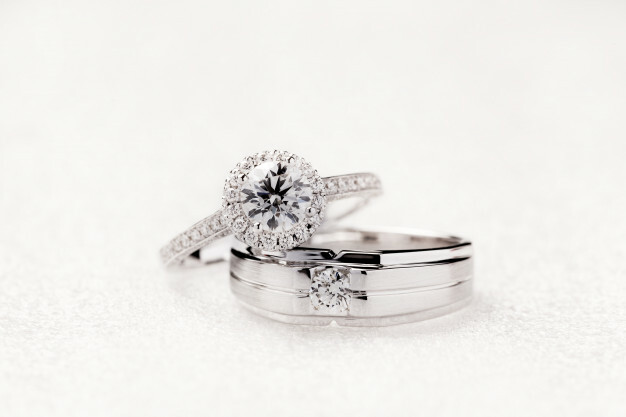 You must review the terms of insurance to help decide whether to use such cover or go in for an extra personal cover. The eligibility for a personal loan is based on your credit history. Ensure you don’t go in for a loan unless absolutely essential. The reason is every time you opt for a loan; it is recorded in your credit history, damaging future chances of loan approval. For enhancing credit score, ensure you steer clear of negative points like late payment of bills. Al- Etihad Credit Bureau (AECB) has launched a credit report system. The best thing is to pay your bills and repayments on time. You can always request your credit report to check for any errors which might hinder your loan application. When you buy a loan in the UAE, make sure you can pay back EMI. One of the major factors for getting a personal loan is how much debt you already have. If you are drowning in debt, banks will be wary of providing loans. As per the rules of the UAE Central Bank, the DBR (Debt Burden Ratio) cannot cross 50%. This implies that your entire monthly payments with existing debt can’t exceed 50% of your income. For instance, if you earn a monthly income of AED 10,000, the monthly repayments of debt for you cannot cross AED 5000. Even if you don’t have income transfer to the same bank at which you apply for loans, it is good to be employed by a company listed for approval by the bank. Banks are more inclined to provide you with a loan, if your company is listed. Otherwise, you may be denied a loan or charged a higher rate of interest. If your current company is not listed, get into action by offering the bank to get in touch with the HR department of your company. If all your attempts for a personal loan fail, you can use a co-applicant. This would be typically a close relative or spouse who will agree to pay back the loan in case you default. This applicant will be evaluated just the way you are (good credit score/ less debt, etc.). Interest rates may depend on the amount of money you borrow. The higher the debt is, lesser will be the rate of interest. Keeping this in mind, several individuals choose to raise their loan amount to make use of a good rate. But this is not a wise decision, and it will be bad for your wallet. You must borrow only what you need. For getting a low rate, try to put pressure on your bank for the same. Thus, you can negotiate with the lender- they will cut interest rate, and you will pay less. It may not be enough to have a low debt burden ratio. In case, you are paying late consistently; this will be recorded in your credit report. Prospective lenders can extract this information from the AECB. The good part is that if you have been timely with your repayments, you have a good chance for getting a fresh loan. Do not just finalize your loan as soon as you get approval from a bank. Use a website for financial comparison for personal loans for details like fees, features, and rates. You may be surprised by the different offers. After comparing loans, you will know which the best fit is for you. Getting a personal loan from Citi is fast, easy, and hassle-free, with no salary transfer required. It offers personal finance to the tune of AED 175,000. • Get Finance up to 8 times of your salary. • Zero Processing Fees (Exclusive Limited Period Offer). • Approvals in 1 day. • Minimum salary required is AED 8000. It is one of the leading UAE banks. It offers personal finance to the tune of AED 2.5 Million. This is the best personal loan if you are looking for repayment of rent or education fees. • No Minimum Length of service required. • Repayment period is 1 year only. • No processing fee for new customers. • Interest rate is 3.99 % only. • Minimum salary of AED 10,000. Offer packages for both salaried and self employed. • Long period of repayment. • Free life insurance for credit. • 7 days loan return option. • Interest rate from 4.99% to 14% ( per annum). • Minimum income of AED 15000. 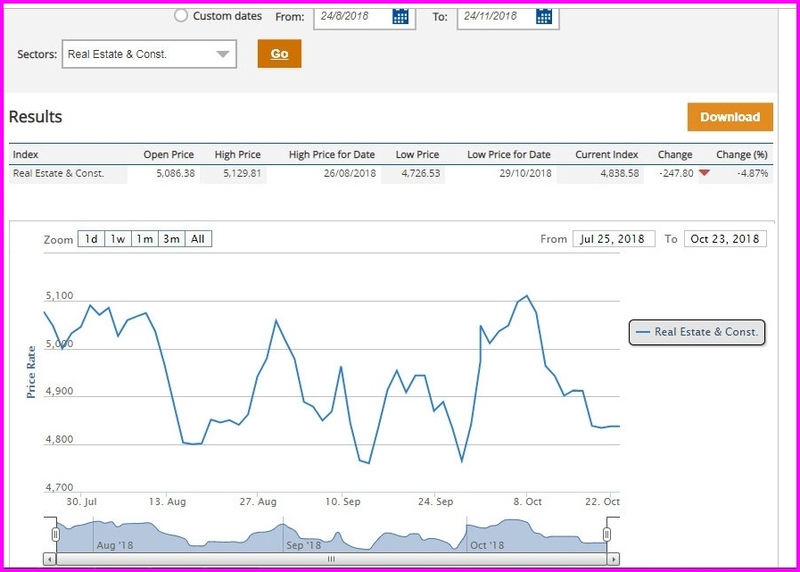 It provides an array of personal finance products. • Manageable payment plan for all your existing debts. • Free Premium Credit card for 1st Year. • Free Bank Account and Debit card. • Deferment option to skip two non-consecutive installments per year. • Minimum salary required is 10,000. These are all some facts about taking a personal loan in the UAE. You must do research online or offline and some serious number crunching to get the best deal. Abu Dhabi police have gone through a number of cases involving car cruise control fails and rescuing affected in the recent months and they have come up with a set of guidelines for motorists to help them control the car’s cruise fails. A few days earlier in Abu Dhabi, police officials risked their life in saving a driver preventing him from a deadly road accident. It was reported that the brakes of the driver’s four wheeler stopped working at 130kmph on a highway. In an another accident that was reported two months ago, a woman’s car cruise failed and was stuck in the car in Umm Al Quwain. Her car had gone out-of-control but was fortunately rescued. The police have posted on their Instagram official account on how the motorists should react in case their car went out-of-control. Police say that motorists shouldn’t panic and make sure their seat-belt is on. Switching on the hazard lights is important, and call 999 for help. 1. Put the neutral gear on and switch off the engine. 2. For old model cars, motorists should use the ignition keys to switch off the engine. For advanced car models, motorists should push and suppress the start button for a long time until the engine turns off. 3. If that fails, motorists should put the neutral gear on and push on the brakes firmly and steadily until the car eventually stops. 4. If the previous method fails, motorist can use the handbrake and pull up while firmly holding the steering wheel. 5. If all methods fail, motorists must change the gear setting between (N) and (D) repeatedly. 6. If any of the previous methods work before a patrol car reaches, the motorist should stop the car off the road and make sure they are safe and wait for the arrival of the concerned units. Everyone spends much time picking the suitable car they need based on their budget and other requirements. Similarly one should know about all type of auto insurance and other importance before grabbing it by their side. Top 6 crucial answers you need to know about the Auto Insurance. What would you do if your car has been caught in an accident or other life-threatening problems? What if you have the wrong type of insurance for the issues? So it’s essential to check out the insurance before you get them, to ensure this you should have known about the auto insurance types. Find below the four important Auto Insurance Types explained. The above table is the summary of the policies covered by the various auto Insurance. The insurance will help if you have done some damages to someone’s car or the opposite person, the condition differs from one state to another, make sure to check for the details whether they work in your place before making it yours. The insurance is considered to be the primary optimal auto insurance and offers the best financial cover in the case of any damage you have caused to the vehicle and not the person. The insurance will help you in case if your car is stolen by thieves or when damaged due to fire accidents or any other issues. The top level and most expensive insurance which covers all things that all the above three insurance provides, apart from that this insurance also offers a vast range of options like replacement of windscreen, replacement vehicles and much more. 2. What are the Documents you need for getting a Car Insurance Policy in UAE? Have the following documents in your hand when you go for applying for car insurance. ● The name of the applicant: National should provide their Emirates ID whereas expats should keep their passport copy ready along with the visa page. ● Date of Birth: The Documents you have submitted for ensuring your name is enough. ● Confirmation Letter: You will require this to ensure whether the car falls under the GCC Specifications Compliant. ● Details of the Vehicle: Have the needed documents that were provided during the registration, some insurance agents will ask for the RTA Certification for the purpose of transferring. 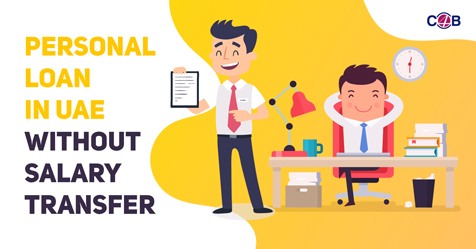 ● No Claims Discount Certificate: The document is most needed for renewing your auto insurance, you will get a reasonable discount as this certificate will prove the owner of the car has not recorded a claim. 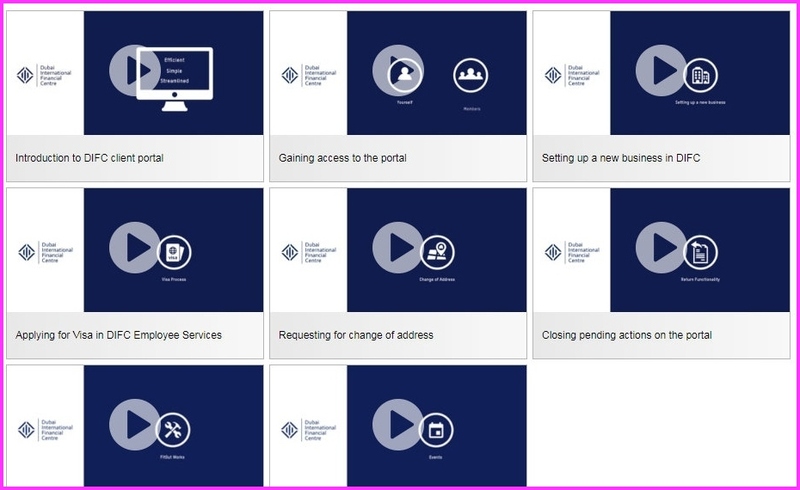 You will be able to upload all these documents online as per your comfort. 3. What are things required to get an auto insurance quote? Most of the car insurer ask for the essential details like model of the car, making of the vehicle, manufactured year, vehicle registered date, car value at purchasing, car registration place in the US etc., based on this the insurer will offer the value of the car as per the current market rate, this is essential for determining the price of the insurance cover. While considering non-personal pieces of information, when you visit a website the browser you are using, IP address, version of your OS (Operating System), the web page visited etc. get recorded. The personal details asked from the insurer includes contact details, Date of Birth, Applicant Name, License details, Nationality, claiming insurance details, Driver License UAE etc. 4. What are the Additional Covers offered by Car Insurance Companies? In UAE, Third Party Insurance is must, and apart from that, there are also some extra insurance covers and features offered by an auto insurance company. The final price of the insurance is calculated only after choosing all the add-ons, some of the additional covers are as follows. ● Agency Repair: You can extend the coverage of agency repair up to five years through this add-on. ● Emergency Medical Expenses: The cover will provide the medical expense for the passengers or other persons in the car but within one day of the accident, there are few other limits too, and this can be clearly claimed as per the car insurance company you choose. ● Personal Accident Cover: The cover offers up to AED 200,000 per people if the passenger or people gets injured or dies in the accident. ● Off Road Cover: When your car is damaged during the off-road then you can make use of the covers to rectify it, people who prefer going long drives can go with this add-on. ● Personal Belongings Cover: The loss of any of your personal things can be claimed with this cover, you will be paid for the lost belongings. ● Roadside Assistance: To jump smart, part replacement and for vehicle towing you can make use of this on roadside assistance cover. ● Oman Extension: You need to check for the terms and conditions of the car insurance companies as few offers territorial coverages. ● GCC Cover: The cover deals with any theft or loss when traveling to Saudi Arabia, Bahrain or Oman and this is based on the precise terms and conditions. ● Natural Calamities Cover: The cover can be useful when there is damage caused due to the natural calamities like earthquake, flood, storm etc. ● New Car replacement: You can go for this add-on as they offer replacement of your car within six months of purchase. ● Windscreen Cover: If there is any damage to your windscreen or other parts then this cover will be much useful. ● Theft and Fire Cover: If your vehicle is damaged due to theft or fire then this cover will offer the losses. ● Locks Replacement: You will be provided with the money for changing a new lock if your old lock has been stolen or damaged with this add-on. ● Dent Repair: The cover offers the cost for dent removal. 5. How can you make a claim when your vehicle is damaged? There are some rules you have to follow when you claim for the damaged vehicle or passengers. ● Make sure you have the driver license copy, vehicle registration copy, and the original policy ready for claiming. ● Before claiming, make sure you have read the papers and document thoroughly so that you can be careful in getting the right covers. ● If there is another vehicle in the accident, then you need to share the information with them so that you will get your insurance claimed easily. Make sure you have the replacement vehicle, Personal Accident Cover, and Legal Cover so that claims can be processed in a shorter period. ● Many people do not understand the meaning of the policy excess, and this is something one needs to pay when claiming the insurance, the conditions may differ from each car insurance companies. 6. What are the Do’s and Don’t when you are buying an Auto Insurance in Dubai? When you create an account for claiming the insurance you will be required to provide your name, DOB, Phone number and other some of the personal information, if you feel that they would be unsafe then you have the rights to neglect it but there is a chance of not getting the complete feature of the website. ● Make sure you go for the best coverage rather than sticking with the cheapest premiums. ● The proverb Honesty is the best policy will suit best when claiming car insurance too, unsure whether you are sharing the right information with the insurance company to avail the right benefits. ● Check for both comprehensive policies and third party liability when claiming for the auto insurance, decide which one will be the best based on your situation. ● If you need for some extra add-ons, then you can check with the insurer whether they have the extra covers included in their policy. 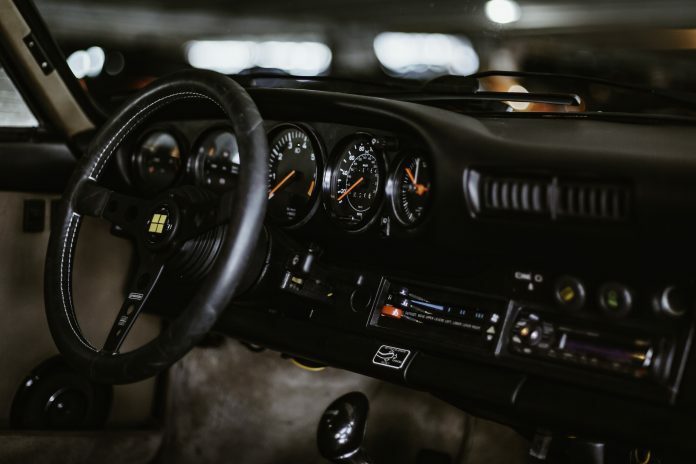 ● In the case of getting an old car, you need to check for the features that are included in the insurance so that you can understand what are the things covered, in some cases, the policy will not be transferable, and therefore you will have to face some difficulties in the future. ● Make sure you are not underinsuring the car as they will extend the claim date of your vehicle as well as last in dispute. ● Do not extend the plan of insurance renewing, make sure you are doing this on time without any breaks. ● Before claiming read out the terms and conditions correctly, in case of any doubts or confusion ask them immediately to the car insurers. ● Save the number of policy and roadside assistance for easy accessing. Auto Insurances are made accessible, and you will be able to save your money through these car insurances. Below are some of the simple steps you need to do when claiming for car insurance. Provide your personal, non-personal and other requirements needed for the better result, and you might need to fill a form online which take a couple of minutes to complete them. The second step is to choose the right policy and make the payment without any confusion. Once you have made the payment, your insurance policy will be processed, and they will ask for other relevant documents and papers listed before for completing the insurance claim. 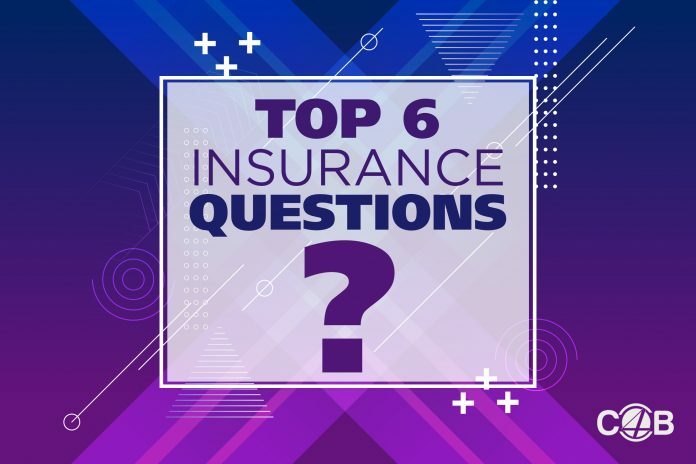 Hope you have the received the answers for all the essential Auto Insurance Question you should be aware of from this blog. Are there any other important things you need to know when claiming your auto insurance? Ping us in the comments, we’ll be right back with an answer. The heat from sunlight would cause severe damages to your car, and many kinds of research prove this. The State Farm vehicle Research Facility has found in a test that the interior air temperature of the vehicle has been recorded as 145 degrees Fahrenheit and the internal surface temperature of the vehicle that is exposed to direct sunlight has been recorded as 195-degree Fahrenheit. It doesn’t mean just the seats and dashboard you should focus on, apart from that your car engine, and the outlined shine are also on the risk when its exposed to the heat. 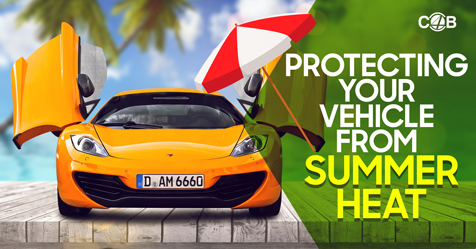 You will not face this problem during the warm climate, but in the case of Summer months, it’s your responsibility to protect your vehicle from direct exposure to sunlight. Proceed below to find out the simple tips through which you can avoid your vehicle getting damaged or affected by summers heat. How to Safeguard your parked vehicle from Heat? When you park your vehicle, their steering wheels, dashboards, and car upholstery are exposed to the direct sunlight heat, and they get beamed easily. You cannot find a shaded place for your car to park if you are living in limited place options, so here are some of the practical things you can follow for making your vehicle protected from the sunlight. Windshields are something that can be folded in and out quickly, you can fold out for protecting your sun from heat and then wrap up quickly and store it in your vehicle beneath the seat. Putting a shade means you can avoid your vehicle to get affected by the sun exposure and this reduces the maximum heat that falls on the car. You can make use of the front and back window shades for protecting your vehicle, this carry from the car models and manufacturers. Products like Leather or Vinyl protectants are developed with additional layers so that they can neglect for too much heat to fall on the vehicle. This also enables your car to run smoothly as well as to keep in new every time you use them. Leaving your car in the direct exposure of sunlight will leave your car with many cracks and other severe damages along different parts of the vehicle namely dashboard, upholstery, etc. This can be easily avoided with the help of a practical option named Tinting. The option for tinting is not acceptable in every state, and you need to know your state rules and regulations before getting any specific products for your vehicle. Tinted windows are not allowed in some of the countries due to the higher risk factors they evolve. How to Park your Vehicle in the Shade? If you are having an option of parking your car in the shade, then it would be the best idea to protect your sun from unwanted damages. Make sure you prefer indoor parking or any shady place under a tree etc. to park your car for avoiding the heat from the sunlight. This type of ideas is possible in some places that have the car parked in leafy neighborhoods or a lined path along the area. At present, there is not much trees shade available so you can prefer choosing any building shade for protecting your car. You can find the streets which has much building shades so that you can cover your car from heat the entire day. Fluid evaporation takes place once your car is exposed to heat for an extended time and this will lead to decreased battery life. To avoid this, you need to add distilled water once your battery needs to be filled up again with any liquid to ups from stopping the severe issues. Topping up should be done regularly, you should wait for one to two hour to open the radiator car rather than opening them immediately. You can do your driving practice up during any col climates, early morning and late evening would be a perfect choice as this makes the passengers and driver have a different and unique experience. ●	You park your vehicle in the shade. ●	Making use of the Sun Protector Eg: Windshield. ●	Make use of the Microfiber Cloth to wipe out the dashboard. ●	Installing Seat covers for your cars. ●	Make use of the conditioner to safeguard your leather seats. ●	Wash your vehicle and dry them regularly. ●	Making use of Wax for your car is also another best way to cover up your exteriors and to protect them. ●	Always check your tire pressure as under-inflated tires and hot pavements results in Blowouts some cases. Cooling System: This will help from overheating so make sure your cooling system is always in the proper working conditions. You should also drain your coolants and check for the belt. Replace the necessary things as per the manufacturer’s recommendations. The overheating of the car will increase if the fluid levels are decreasing below the manufacturer recommended standards, you need to check for the transmission fluids, motor oil, brake fluid, power steering fluid regularly if you feel something is not okay then make sure you change or replace them immediately. High accessory and temperature loads will cause your battery to fail and wear out quickly, check for the complete charging system and the battery with the help of any mechanics who are expert at doing it. Staying cool does not mean it can keep you and your persons comfortable but also help in keeping you alert while driving. If your interior temperature is not cooling, then you need to check for the charge level in your refrigerant and treat is a severe issue if its low. Excellent preventative maintenance will help you to keep your car in proper running condition, make sure you follow the above steps for keeping your vehicle protected from direct exposure to sunlight. Any other ways through which you can avoid excess heat falling onto your vehicle? Let you know through the comment section below. Age is one of the significant factors that every Car Insurance companies look when calculating your premium car insurance rates, with this they will be able to figure out the risk for accidents based on the driving experience of the driver. According to statistics, people who have more years of experience on the wheels are under less risk factor in getting into an accident and applying for an insurance claim. So which age group needs to pay the higher and what age groups are required to pay lower premiums? Let’s find the answer to the question in this detailed blog. What is the Average Car Insurance Rates by Age? 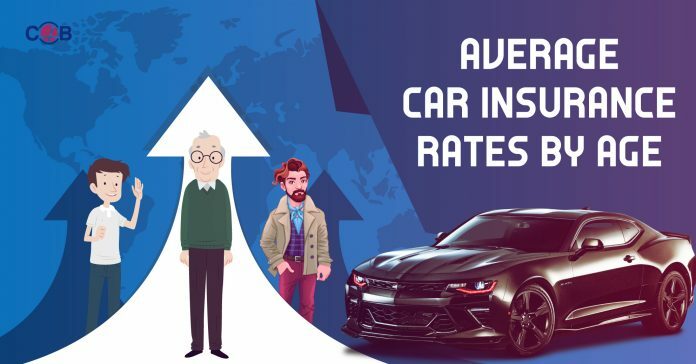 After analyzing more than thirty Auto Insurance Companies quotes, it’s clear that the old age people and young aged people are experiencing to pay higher premium rates when considered to the middle-aged people. There are many tools online to check out the Insurance companies quotes in your area. As per our analyzation with different tools, we have found that. 1. The teenagers are asked to pay three times the rate of a driver with a mid thirty age group, and four-time high when compared with a professional driver in mid-fifties. 2. Once teenagers become 25, their premium rates drop about 30%, and these rates get reduced with their every birthday, so as an overall people who are in their 50 to 60 age group, they experience to pay lesser premium rates. 3. Again the premium rate increases when their age rises above 60, they are asked to pay the same amount as per a teenager does. Drivers Age: The Drivers Age: If you fall under 23 to 25, then you will be added with 25% to the premium insurance cost, 15 % for the person who falls between 25 and 30. You get a discount of 10% if you fall in the age range of 30 and 60 years old. Cost of the car: The average car insurance rate of a car that is more than 300,000 AED is 2.75% and 3% for the cars that range from 100,000 AED and 300,000 AED. Gender is also considered as the primary factor when calculating the premium insurance rates, as per the research males are paying more than a female pays, and the rate gets differed as per the age. Males are paying 12% higher than a women pays for their Auto Insurance, when compared this with the age group the auto insurance rate differ entirely. For, e.g. : if men paid 20 % higher than the women at their age of 21, then at the age of mid group the female has to pay 2% higher than the men. Why Old and Young Drivers pay higher for Auto Insurance? In the case of teenagers, they are just likely to start with car driving and therefore considered to be the beginners, so in this case, there are high chances for them to get into the accidents or crashes when compared to the other age group persons. The IIHS (Insurance Institute of Highway Safety) has reported that people who are in the age group of 16 to 19 have caused three times higher car accidents rather than middle age groups. They also have identified that young people between the age group of 15 and 20 have resulted in 10% of the car accidents and among them, only 7% of the drivers are found with licenses. In the case of age group between mid thirty to mid fifty are well experienced and are aware of handling the things even in the case of any accidents and therefore people in this middle group is liable to lower premium rates. Next comes the older age people above 60, they get aged and therefore reverse change is seen on them as per the young people do, they lose the control at times, get nervous due to the BP and other factors, etc., this results in higher car accidents. Auto Insurance Companies start to increase the premium when the drivers become 70. There is some reliable way through which you can lessen the car insurance rates namely. One of the efficient money saving technique to reduce your insurance cost as a young or old driver. From our analyzing and research we found Erie to be the affordable Auto Insurer and GEICO to be the higher car insurer for young and old drivers. You need to quotes from different companies, compare them and then choose the better one, few of the auto insurance companies provide a tool online to compare their price with other auto insurance companies. As usual, Discounts are one of the strategies to decrease the premium rates of young and old drivers, and you can take many defensive driving courses or other similar ones for to get 10% discount for the younger people. For senior drivers, people who are retired will automatically get a discount of 10% in some countries. We have found that you can join your insurance with your parents auto insurance policy to lessen the premium insurance rates, this is because parents are allowing you to take a risk on their side and therefore they are provided with fewer premium rates. In this case, your parent’s policy premium rates will get increased than your insurance policy. Following the above steps efficiently will help in getting few ideas regarding the lessen premium rates for older and young people. Any other ideas to reduce the premium auto insurance rates for seniors and young drivers? Let us know through the comment section below so that we can add it in our blog.